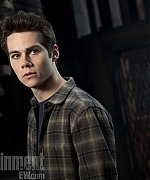 Entertainment Weekly just released some new cast shots from Season 3 of Teen Wolf. 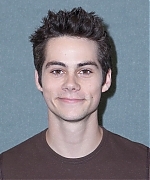 I’ve added the one photo of Stiles to the gallery! What to expect in season 3:“We’re going to see Stiles basically branch out and move on from his crush with Lydia,” says Davis. “He’s decided it’s over and he’s going to be a man now and move on and not pine after a girl who will barely give him the time of day.” Good for him! Except…”let’s just say that romance isn’t easy for him this season,” teases Davis. 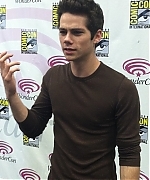 Dylan O’Brien attended Wondercon in Anaheim, CA yesterday, March 31st. 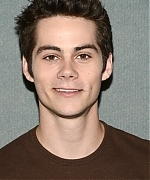 I’ve added a couple of pictures of Dylan from it! A new trailer for “The Internship” released a couple of days ago. You can watch it below! 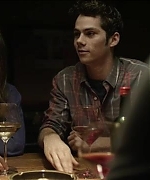 Also, I added a couple of captures of Dylan from the trailer! I have just added 1400+ high quality screencaptures of The First Time. If you haven’t watched it yet, I highly recommend you go out and get it! Dylan did such a great job in the film! I have added captures from Dylan’s appearance in First Dates With Toby Harris to the gallery! Thanks a lot to Tiffany @ Dylan-O’Brien.org, we have some new high quality movie stills & behind the scenes of The First Time. You can check them out by clicking the thumbnails below! 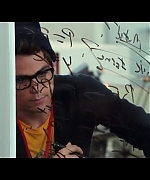 I have just added HD screencaptures for the trailer of The Internship. Check it out. The trailer can be watched in the post below.